Microsoft Windows 10 is awesome and with great features , lets know your system is ready for windows 10 or not. 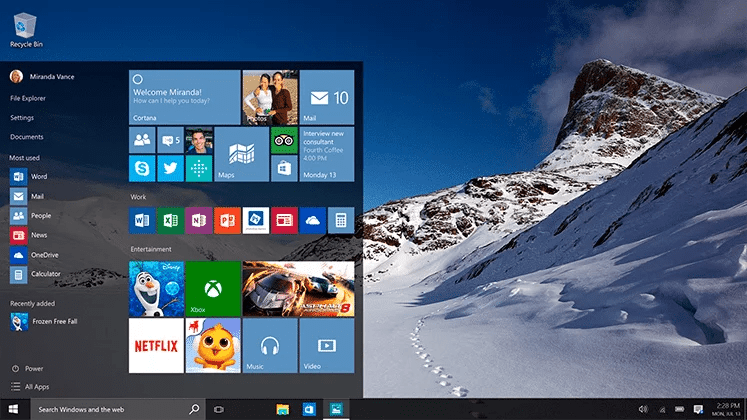 Here is Windows 10 System Requirements with Detailed Review. Processor: 1 gigahertz (GHz) or faster processor or SoC. RAM: 1 gigabyte (GB) for 32-bit or 2 GB for 64-bit. Hard disk space: 16 GB for 32-bit OS 20 GB for 64-bit OS. Familiar and better than ever : Windows 10 is familiar and easy to use, with lots of similarities to Windows 7 including the Start menu. It starts up and resumes fast, has more built-in security to help keep you safe, and is designed to work with software and hardware you already have. Millions of people are already using Windows 10 : The Windows Insider Programme is a global community of fans who love Windows and want to help make it better. Insiders see the operating system in its earliest stages, and play a role in shaping it. Their feedback has contributed to the best Windows ever. Make the web work the way you do : Microsoft Edge lets you move quickly from browsing to doing. Write1 or type notes directly on web pages and share them with others, read online articles free of distraction and save your favourite reads for convenient access later. Multi-doing helps you get to “done” faster : Get to done faster by better managing your desktop. Snap up to four things on one screen at the same time and create virtual desktops whenever you need more space or want to group things by project, like Office apps for work and games for play. Xbox is coming to Windows : The biggest Xbox franchises and the best of Xbox Live are coming to Windows 10. Start recording gameplay in seconds, compete against console players and stream games from your Xbox One to any Windows 10 PC in your home. Windows Store : Introducing the new Windows Store, a unified shopping experience across every Windows 10 device. Browse the store on your PC, tablet, or phone and easily download great free and paid digital content including apps, games, music, films and TV programmes.